Jonathan Evans Rhoads was born on May 9, 1907, in Philadelphia, the son of Edward G. and Margaret Ely (Paxson) Rhoads. After attending Germantown Friends School and the Westtown School, Rhoads entered Haverford College in 1924 and graduated in 1928 with a B.A. He pursued a career in medicine earning his M.D. from Johns Hopkins University School of Medicine in 1932. Jonathan Rhoads began his long career at the University of Pennsylvania with an internship at the Hospital of the University of Pennsylvania in 1932. Upon the completion of the internship, he decided to continue at the University in a residency under I.S. Ravdin, the chief of surgery. Ravdin recognized Rhoads’ skill and became his mentor at the University. 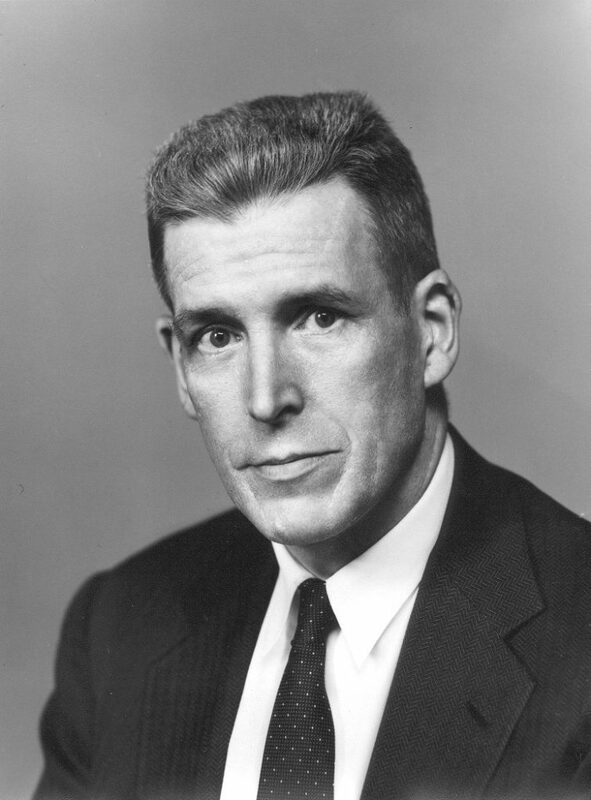 Rhoads became an associate in surgery in the Medical School of the University of Pennsylvania in 1939 and received his Doctor of Science degree from the University in 1940. When Ravdin left the University to work in the 20th General Hospital during World War II, Rhoads headed the Department of Surgery at the University Hospital. As a birth-right Quaker, Rhoads could not participate in any war-related activity and remained at the University. With the return of the physicians from the war, Jonathan Rhoads was able to lighten his work load at the Hospital of the University of Pennsylvania and devote more time to research and teaching. He became a member of the faculty of the Medical School. In 1944 he was appointed an assistant professor of surgical research and, in 1945, an assistant professor of surgery. It was not long before Rhoads’ extraordinary skill and knowledge propelled him to upper levels of the Medical School and Hospital. He was appointed a full professor of surgery and the J. William White Professor of Surgical Research in 1949. His rise did not stop at the Medical School, but continued into the University proper when he was appointed provost of the University in 1956, a position he held until 1959. Upon stepping down from the provostship, Rhoads returned to the Medical School and Hospital as the chair of the Department of Surgery and the John Rhea Barton Professor of Surgery. He held these posts until he retired from his administrative positions in 1972. As an honor to his distinguished career, Rhoads continued to hold the position of professor of surgery at the School of Medicine. In addition to his many posts at the University of Pennsylvania, Jonathan Rhoads was very active in other hospitals in the Philadelphia area as well as a large number of professional organizations. Early in his career he had a close affiliation with Pennsylvania Hospital, beginning in 1939 and culminating in 1972 with him being appointed the chief of surgery for the hospital. Among the more significant consulting staff positions he held were those at the Children’s Hospital of Philadelphia and the Veterans Administration Hospital in Philadelphia. Rhoads has held positions in over twenty different professional and educational organizations. Among the most prominent are: chairman of Surgical Advisory Committee, Food and Drug Administration, 1972-74; member of American Board of Surgery, 1963-1969; member and chairman of the editorial board of the Annals of Surgery, 1947-1977; president, American Philosophical Society, 1976-84; president of board of managers, Haverford College, 1963-1978; Board of Education, City of Philadelphia, 1965-71. His special interest in cancer research and funding lead to his participation in the National Cancer Institute in the early 1970s. He also served as a director at large of the American Cancer Society, Inc., 1965-67, and a board member and president of the Philadelphia Division of the American Cancer Society. Rhoads received a myriad of awards and honors during his long career. He held honorary doctorates from Swarthmore College, Hahneman Medical College, Duke University, the Medical College of Ohio, Georgetown University, Yale University, and Thomas Jefferson University. Rhoads married first Teresa Folin, who also graduated from Johns Hopkins Medical School in 1932, and second Katherine Evans Goddard. Jonathan and Teresa Rhoads had six children. He died on January 3, 2002.